It is always great to get new towels. Here's your chance to win some. Giveaway runs through 11/2. US entrants only. Good luck. The best kitchen towels for all of your kitchen jobs! LARGER SIZE TO TACKLE ANY JOB! - We made our towels bigger because 100% cotton shrinks. After washing, our towels are still large enough to get the job done. HIGH DENSITY TO HOLD UP TO HUNDREDS OF WASHINGS! - Our towels our woven tightly with premium 100% cotton to produce a thick strong dish towel. ULTRA ABSORBENT AND LINT FREE! If you have ever used a dish towel that just won't hold any water or left stuff on your glasses you know how frustrating it can be. Get the job done quickly the RIGHT way with our Dish towels! WRINKLE RESISTANT! If you are tired of thin, see thru towels that come out of the dryer a wrinkled mess then our towels are for you! You will be pleased with the results! Coming from a long line of old school bakers and cooks. I have a tablecloth that I use for baking bread and have never found anything that would even come close to replacing it. It was my grandmother's favorite, too. These large towels have that same feeling as that table cloth and love how much more sanitary they are than those puffy ones with all the strings. These would also work great for baking bread or anything that you need to let rise. I picked out the teal colored stripe to match the predominately green colored kitchen I have. The Homemakers Dish has graciously offered one lucky reader the opportunity to win a set of these awesome towels. Just fill out the entry widget below for you chance to be the lucky winner! Winner Chooses the Color that Compliments Their Kitchen! By following us on our social networks and by email we are able to get the best giveaways together on the internet! 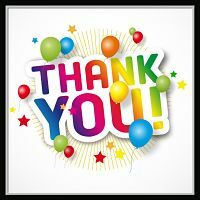 Please take a minute to “like” us on Facebook! Disclaimer: PaulaMS' Giveaways, Reviews, and Freebies is not responsible for the awarding of the prize. Sponsor is responsible for prize fulfillment. Can't Wait for the Giveaway to End? 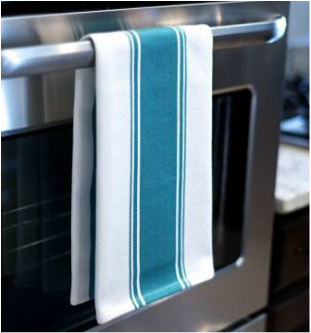 Get Your Set of Kitchen Towels from The Homemakers Dish Today! I love these kitchen towels,these are wonderful colors,I love the yellow the most and I love the fact that they are 100% cotton and lint free,I have been looking for large dish towels like these. We can always use more kitchen towels, because those suckers get dirty. These are nice towels and ours need replacing!